The Glen at Golden Eagle is located in NE Tallahassee within a golf-cart's ride to a world-class golf course designed by Tom Fazio. 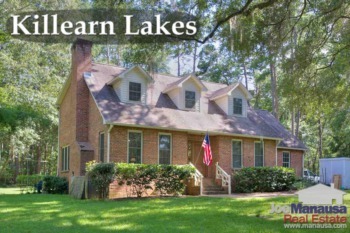 Combine that with A-rated school and plenty of different home styles, you will begin to see why this is such a popular neighborhood in Tallahassee. The following list of homes shows all active listings right now in the Glen At Golden Eagle. If no homes appear within a red box, it means no homes are listed for sale in the Glen At Golden Eagle, but check back again on a regular basis as this page updates 96 times daily. These homes, when properly marketed, sell in days if not in hours. It is why (at the time of this writing) only one home is available right now. 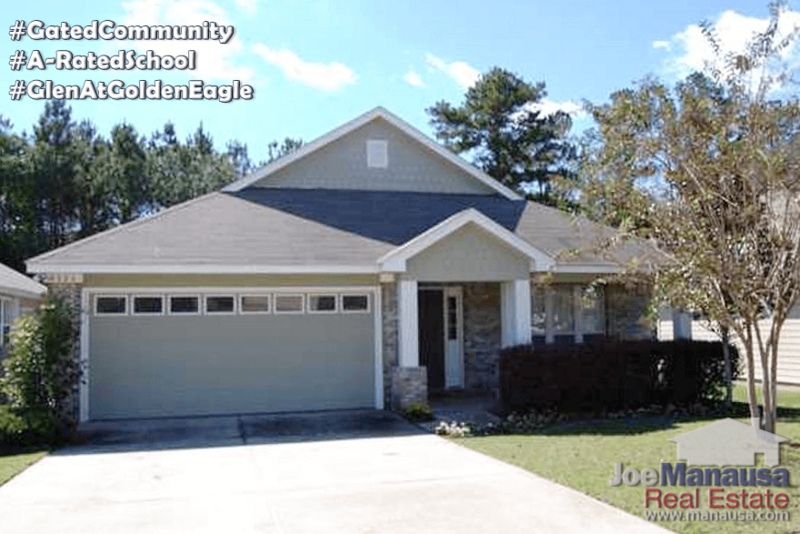 If you see a home for sale in the Glen at Golden Eagle that you like, act fast! Or somebody else will. In previous reports on the Glen at Golden Eagle, we forecast that the prices for homes here were still moving higher at a fast pace. Well, they continue higher even now. 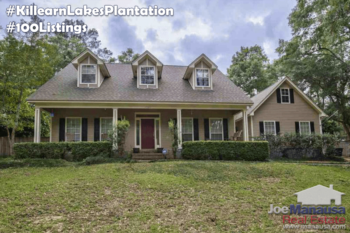 Expect rising prices in this popular NE Tallahassee neighborhood to continue through 2017 and beyond. In this report, we will look at average home price trends, home value trends, and home size trends in the Glen At Golden Eagle. Additionally, we have provided a list of all closed home sales going back to the first one sold in 1997. For all of the real estate graphs below, we show the number of closed home sales for each year (red columns, measured on the left vertical axis), as well as an important real estate statistic shown in blue (measured on the right vertical axis. It is important to note that the narrative contained below is for sales through years' end for all previous years, but through the fourth week of June in 2017. The graphs and the closed sales table will be continuously updated into the future (meaning bookmark this page if you always want to know the current status of homes in the Glen at Golden Eagle). Home prices in the Glen at Golden Eagle are rising rapidly. The average recorded sales price has moved to $203,800, and we'll see it higher this year. Home prices here were beaten down so low during the housing market crash, so this recovery is merely long overdue. Home sales activity remains hot in 2017. Currently, there are four homes for sale in the Glen, and three are already under contract. Average home values in the Glen At Golden Eagle are already up more than 9% percent in 2017 after moving higher by 3.5% last year. As values move higher, more homeowners will gain equity in their homes and soon every homeowner will have equity. This should free-up any sellers who have been waiting for values to return for their time to sell. Through the fourth week of June, the Glen At Golden Eagle average home value has been $128 per square foot. The average home size sold in the Glen At Golden Eagle typically falls in a range of 1,400 to 1,650 square feet, and this year is no different. The 11 sales thus far in 2017 have averaged 1,593 square feet. The following list shows all home sales in the Glen At Golden Eagle going back to the first one ever in 1997. I hope you enjoyed our June 2017 update on home sales in the Glen At Golden Eagle, please feel free to drop me a note if you have questions not covered in this report.